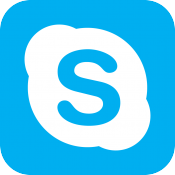 Closely following its optimization for iPhone 6 and iPhone 6 Plus earlier this month, Skype has updated its Skype app for iOS with faster loading times for chat, new options for saving photos, and general UI tweaks that allow users to easily browse their People lists. -Save and delete photo - If you want to save a memorable photo to your camera roll or delete a sent photo from a chat, simply press and hold the image and the options will appear. -Faster chat load time - Now when you receive a notification and tap it to open the app, the message will be there waiting for you without any delays. -Avatars for all chat - You can now see all avatars for groups and people, and if they’re changed on other platforms, they’ll update in the app too so you always have the latest showing. -People list UI improvements - In 5.7, we’ve made it easier to find the people list search and filter options, so you can quickly and easily find the person you want to chat with and get started. The Skype for Mac app has also received its own update. On the heels of the 7.0 update that tied the desktop app closer to its iOS counterpart, Skype for Mac has received a 7.1 update which offers full support for OS X Yosemite. It has also received small tweaks to enhance group profile features, including features that make it easier to copy a link and to leave a group conversation. Can you finally stay logged in--able to RECEIVE calls (which then launch the app if you Accept)--without the app actually RUNNING 24/7 in the background, burning battery? That's proper use of the Push system. Background VOIP is for when you're ON a call. Then the app needs to stay running. Just to be logged in? No. I'm logged into tons of communication apps, able to receive calls/messages... but only Skype keeps the host app running. The others use Push. The modern, efficient way to multitask. LOL you amuse me. No push is when the app stays open and drains your battery in 6 hours. Honestly do you even understand the complexity of coding an app others do for free when your budget is only billions and a team of 500 developers? I don't need better chat and photo management tools - I need functionality! I haven't used Skype in years so I'm a bit curious, how is the video quality compared to FaceTime? Both calling to someone with an iDevice and those without an iDevice. I find Skype is worse. It has extremely poor battery performance and bandwidth usage compared to FaceTime. Ive used FaceTime or Skype daily for the last 2 years and I will always pick FaceTime if it's possible.